1 Dr. Md. Waliullah 2018 Comparism Between Propofol & Midazolam to Observe Hemodynamic Stability in Conscious Sedation for Middle Ear Surgeries under Local Anesthesia. 2 Dr. Muinul Islam Shah 2018 Effectiveness of Intrathecal Fentanyl as Adjuvant to Local Anesthetic – A Comparison with Intrathecal Tramadol Adjuvant on 24 Hours Post Operative Analgesics Requirements Patient Undergoing below Umbilical Surgery. 3 Dr. Shukha Ranjan Das 2018 Effect of Labetalol-Fentanyl and Fentanyl alone for Attenuating Pressure Responses to Intubation and Skull Pin Insertion in Neurosurgery: A Comparative Study. 5 Dr. Mohammad Abu Hasnat 2018 Haemodynamic Response of Fastrach ILMA- Comparison with Direct Laryngoscopy. 6 Dr. Md. Ariful Hoque 2018 Dexamethasone with Local Anaesthetic versus Local Anaesthetic for Laparoscopic Port Infiltration to Assess Effectiveness as Post-operative Analgesia. 8 Dr. Syed Thofayl 2018 A Comparative Study of Pectoral Nerve Blocks with Conventional Opoid Analgesia to Improve Analgesia After Breast Cancer Surgery. 9 Dr. Sabiha Mahbuba 2018 Heamodynamic Effects of Fractionated Versus Bolus Administration of Hyperbaric Bupivacaine for Subarachnoid Block in Elective Caesarean Section - A Comparative Study. 10 Dr. S. M. Mostafizur Rahman 2018 General Anaesthesia for Thyroid Surgery with or without Bilateral Superficial Cervical Plexus Block - A Comparative Study of Intra and Postoperative Haemodynamic Status and Analgesic Efficacy. 11 Dr. Mohammad Wali-Al-Bari 2018 Measurements of Epidural Space Depth Using Pre-existing CT-scan Correlate with Loss of Resistance Depth during Lumber Epidural Catheter Placement. 12 Dr. Rokshana Sultana 2018 A Comparative Study of Success Rate of Radial Artery Cannulation under USG Guidance versus Landmark Technique in Adults Undergoing Open Heart Surgery. 13 Dr. Mahammuda Khanam 2018 Comparative Study on Haemodynamic Response to Endotracheal Extubation : Attenuation with Lignocain and Esmolol. 17 Dr. Suvojith Ghosh 2018 Subarachnoid Fentanyl Added as Adjuvant to 0.5% Hyperbaric Bupivacaine to Prevent Shivering among Parturients undergoing Caesarean Section under Spinal Anaesthesia - A Prospective Study. 18 Dr. Mohammad Ifta Khiarul Hasan 2018 Attenuation of Haemodynamic Responses to Laryngoscopy & Endotracheal Intubation : Role of IV Labetalol versus IV Lignocaine in Hypertensive Patients. 19 Dr. Nazmul Ahsan Siddiqi Rubel 2018 Effect of Different Doses of Dexmedetomidine as an Adjuvant to Intrathecal Hyperbaric Bupivacaine on Subarachnoid block. 20 Dr. Mir Shahadat Hossain 2018 Effects of Preemptive Gabapentin on Postoperative Pain Control and Opioid Consumption after Abdominal Hysterectomy. 21 Dr. Mohammad Ali 2018 Subarachnoid Fentanyl or Neostigmine as Adjuvant to Hyperbaric Bupivacaine During Caesarean Section under Spinal Anaesthesia - A Comparative Study. 22 Dr. Md. Sohel Rana 2018 Evaluation of Haemodynamic Effect of Spinal and Epidural anaesthesia for Caesarean section - A comparative study. 23 Dr. Mostafa Nuruzzaman 2018 Effect of oral clonidine on epidural anaesthesia in hip replacement surgery. 24 Dr. Mohammad Shaddam Hoshain Mondol 2018 The effect of oral clonidine at different doses on post operative analgesia and haemodynamic status in upper abdominal surgery. 25 Dr. Abdullah Al Mamun 2018 Evaluation of Effective Dose of Ephedrine in Prevention of Hypotension During Induction with Propofol. 26 Dr. Md. Nazmul Haque 2018 Ultrasound technique reduces the effective local anaesthetic volume compared with landmark technique for interscalene brachial plexus block. 27 Dr. Tahmina Akram 2018 Comparison between Transversus Abdominis Plane and Conventional Ilioinguinal/ iliohypogastric nerve blocks for postoperative analgesia in open inguinal hernia repair under Sub-Arachnoid Block. 28 Dr. Shoma Siraj 2018 Comparison between Classic Pubic approach and transurethral approach for prevention of obturator jerk in resection of Bladder tumour under Sub arachnoid Block. 29 Dr. Mustasim Mehedi Masum 2018 Removal of the Laryngeal Mask Airway in Children : Deep Anesthesia versus Awake. 30 Dr. Meherun Nahar 2018 Effects of I/V Fentanyl on Post-spinal Shivering Control in Non-obstetrics cases - A Prospective Study in Tertiary care Hospital. 31 Dr. Md. Tajdidur Rahman 2018 A Comparative study between Intravenous Esmolol & Intravenous Fentanyl on Attenuation of Haemodynamic Responses to Laryngoscopy & Oral intubation. 32 Dr. Mst. Sabiha Banu 2018 Haemodynamic consequences in immediate postoperative period in comparison between open and laparoscopic cholecystectomy. 33 Dr. Md. Shahjahan Islam 2018 Efficacy of intravenous tramadol pretreatment in reducing pain on propofol injection: Comparison with lidocaine: A Randomized, Double blind, Controlled study. 34 Dr. Md. Farhad Ur Reza 2018 Use of MgSO4 and Gabapentin to Prevent Succinylcholine induced Myalgia - A Comparative Study. 35 Dr. Wazed Amin 2018 Comparative study to analyze the incidence of sore throat, cough and hoarseness of voice after general anaesthesia with the use of alkalinized lidocaine versus air as intracuff inflating agent. 36 Dr. Monirul Islam 2017 The effect of Dexmedetomidine on attenuation of per-operative Hemodynamic changes during laparoscopic cholecystectomy. 37 Dr. Muhammad Mizan Ullah 2017 Comparison between fractionated dose versus bolus dose of intrathecal hyperbaric bupivacaine injection in spinal anesthesia for patients undergoing elective caesarean section: A randomized, double-blind study. 38 Dr. Md. Moniruzzaman 2017 Effectiveness of carvedilol in the treatment of first time diagnosed hypertensive patient during perioperative period. 39 Dr. Molla Md Rubaiat 2017 Attenuation of Haemodynamic Responses to Laryngoscopy and Intubation in Hypertensive Patient- The Influence of Melatonin. 40 Dr. Sabia Siddika 2017 Estimate the optimum dose of Gabapentin as preemptive analgesia to reduce the post-operative opioid requirement in patient undergoing laparoscopic cholecystectomy. 41 Dr. Md. Nuruzzaman 2017 Effectiveness of Dexmedetomidine as adjuvant drug in comparison to Fentanyl in SAB. 42 Dr. A. K. M. Fakhhrul Alam 2017 Efficacy of Dexmedetomidine in attenuation of laryngoscopy and intubation reflex. 43 Dr. Md. Jashim Uddin 2017 Evaluation of post spinal anesthesia low back pain after Lower uterine caesarean section. 44 Dr. Rajat Shuvra Das 2017 Dexmedetomidine for Sedation during Total Abdominal Hysterectomy under Spinal Anesthesia. 45 Dr. Basudeb Das 2017 Effectiveness of low-dose ketamine pretreatment to reduce Propofol injection pain in Intravenous route. 46 Dr. K.M. Shohel Asker 2016 Efficacy of noradrenaline and ephedrine for the treatment of intra operative hypotension in elective cesarean section following Subarachnoid block - A comparative study. 47 Dr. Abdullah Al Mahmud 2016 Comparison of Ketamine and Hydrocortisone in the management of peroperative shivering under spinal anaesthesia. 48 Dr. Md. Niazur Rahman Towaf 2016 A comparative study between haemodynamic effects of Carbetocin and Oxytocin given intraoperatively as intravenous bolus in caesarean section under sub arachonoid block. 49 Dr. Saiful Mahmud Tusher 2016 Gabapentin and Prevention of Post Operative Nausea and Vomiting. 50 Dr. Ariful Haque 2016 A comparative study between 20% Mannitol and 3% Hypertonic saline for brain oedema reduction during elective brain tumour surgery. 51 Dr. Masrufa Hossain 2016 Cardiovascular effect and duration of analgesia in spinal anaesthesia using plain bupivacaine and plain levobupivacaine with or without fentanyl. 52 Dr. Md. Ayub Ali 2016 Comparative study between tramadol hydrochioride and pethidine for control of shivering under regional anaesthesia in obstetrics patient. 53 Dr. Md. Arman Ali 2016 Effect of Verapamil adjuvant with local Anaesthetic Mixtures in Supraclavicular Brachial Plexus Block. 54 Dr. Nahida Parveen Nimmi 2016 Anaesthetic outcome of PIH patients. 55 Dr. Shofina Sultana 2016 Evaluation of quality of inhalation anaesthesia in paediatric patients using halothane alone or sequential use of sevoflurane and halothane - A comparative study. 56 Dr. Mohammad Asraful Alam 2015 Reliability of conventional method for correct placement of double lumen endobronchial tube in thoracic anaesthesia : Evaluation by fibreoptic bronchoscope. 57 Dr. Husain Md. Khurshid 2015 Sodium bicarbonate confirms intravenous placement of Central Venous Catheter. 58 Dr. Mohammad Shahidul Islam 2015 Effect of ondansetron for the prevention of post induction hypotension in elderly patients undergoing general anaesthesia. 59 Dr. Md. Sameul Hasan 2015 Efficacy of prophylactic different doses of intravenous ondansetron in the prevention of spinal anaesthesia induced Hypotension and Bradycardia in Elective Caesarean Section. 60 Dr. Moinul Hossain Chowdhury 2015 Efficacy of dexamethasone adjuvant in brachial plexus block - A comparison with fentanyl adjuvant. 61 Dr. Muhammad Mamun Ur Rashid 2015 Efficacy of pregabalin in attenuation of laryngoscopy and intubation reflex - A comparison with gabapentin. 62 Dr. Md. Rejaul Karim 2015 Comparative study of the efficacy of pre-treatment between Intravenous Lignocaine & Ondansetron in prevention of pain due to intravenous injection of Propofol. 63 Dr. Shamim Ara Begum 2015 Prophylaxis of postspinal shivering : A comparative study between intravenous Ondansetron and Meperidine. 64 Dr. Mohammad Abdul Karim 2015 The effect of Isoflurane compared with Propofol on haemodynamic status and surgical field bleeding during functional endoscopic sinus surgery. 65 Dr. Chanchal Kumar Devnath 2015 Haemodynamic effects of carbetocin and oxytocin given as intravenous bolus on women undergoing caesarean section: A comparative study. 66 Dr. Most. Sufia Khatun 2015 Rapid Detection of Early Sepsis in Intensive Care Unit: Comparison of Biomarkers : Procalcitonin, Serum Lactate and C-Reactive Protein. 67 Dr. S M Majbaur Rahman 2015 Prevention of hypotension during elective Caesarian Section (C/S) under Subarachnoid Block (SAB): Comparison of the effect of co-administration of crystalloid (eg. Ringer`s lactate), with phenylephrine infusion versus colloid (eg. 6% HES). 68 Dr. Mahfuzul Islam Chowdhury 2015 Comparison of efficacy of intravenous glycopyrrolate and ondansetron as prophylactic against nausea and vomiting following spinal anaesthesia in elective caesarean section. 69 Dr. Mohammad Faiz Ullah 2015 Comparison of the pre-emptive intravenous low dose Ketamine versus intravenous Paracetamol for postoperative analgesia on patients undergoing Total Abdominal Hysterectomy under Subarachnoid Block. 70 Dr. A.M. Kamrul Hasan 2015 Comparison of rocuronium and suxamethonium by assessing intubation quality and adverse effect in patients undergoing elective surgery. 71 Dr. Md. Abdul Alim 2015 Effectiveness of plethysmographic variability index for prediction of subarachnoid block induced hypotension in caesarean section. 72 Dr. K.M. Shamim-Ul-Hasnain 2015 Comparison of esmolol and lignocaine for attenuation of cardiovascular stress response to laryngoscopy and endotracheal intubation. 73 Dr. Md. Ibrahim Khalilullah 2015 Comparative evaluation of low dose Fentanyl and Lignocaine in attenuating hemodynamic response to Laryngoscopy and tracheal intubation. 74 Dr. Ferdous Ali 2015 Haemodynamic changes & complications between Unilateral and Bilateral Spinal Anesthesia in Elderly Type-2 diabetic patient undergoing Hemiarthoplasty - A comparative study. 75 Dr. Mohammad Moinul Islam 2015 Efficay of intravenous ondansetron versus ephedrine as prophylactic against hypotension and bradycardia following spinal anaesthesia in elective caesarean section - a comparative study. 76 Dr. Ahamad Ullah 2015 Attenuation of cardiovascular response to laryngoscopy and intubation by intravenous metoprolol. 77 Dr. Md. Rabiul Islam 2015 Comparison of haemodynamic changes with Laryngeal Mask Airway (LMA) insertion & endotracheal intubation in intermediate duration (1 to 2 hrs) operation. 78 Dr. Hasan Ali Talukder 2015 Effectiveness of Oral Clonidine and Oral Gabapentin in Attenuation of Haemodynamic Stress Response to Laparoscopic Cholecystectomy - A Placebo Control Trial. 79 Dr. Sharoz Rayhan 2015 Efficacy of Ephedrine Versus Lignocaine Pretreatment in Preventing Pain Following Propofol Injection. 80 Dr. Md. Ahsanul Kabir 2014 Crystalloid preload versus rapid crystalloid administration after induction of spinal anaesthesia (coload) for elective caesarean section. 81 Dr. A. K. M. Habibullah 2014 Nitrous oxide versus medical air using in general anesthesia during laparoscopic cholecystectomy : A comparative study. 82 Dr. Md. Hasanuzzaman 2014 Effects of pre-operative education on post-operative pain, anxiety and patient`s satisfaction after Coronary Artery Bypass Graft (CABG). 83 Dr. Md. Aminur Rahman 2014 Comparative study of Thiopental Sodium & Magnesium Sulphate in the Control of Convulsion along with Haemodynamics in Eclampsia. 84 Dr. Khalid Nur Md Mahbub 2014 A comparative study on hemodynamic response between the use of two supraglottic airway device - laryngeal mask airway classic and i-Gel in anaesthetized, paralyzed adult patients undergoing elective surgery. 85 Dr. Md. Abdul Jabbar 2014 Efficacy of intravenous midazolam & ketamine combination in the treatment of shivering after spinal anaesthesia - A comparative study with intravenous midazolam & pethidine alone. 86 Dr. Shaon Kumar Das 2014 Postoperative analgesic effect of different doses of intrathecal adjunct neostigmine - A comparative study. 87 Dr. Hurrun Maksur 2014 Attenuation of pressor response to laryngoscopy in severe preeclampsia : comparison the efficacies between intravenous nitroglycerine and intravenous hydralazine. 88 Dr. Mohammad Shaheen Miah 2014 Haemodynamic effects of Levobupivacaine over Bupivacaine in case of Sub-arachnoid Block for Total Abdominal Hysterectomy. 89 Dr. Atiqur Rahman 2014 Sedation for Endoscopic Retrograde Cholangiopancreatography (ERCP) - A comparative study between propofol-fentanyl with propofol-fentanyl-ketamine combination. 90 Dr. A.B.M. Maruful Hasan 2014 Pre emptive analgesic role of oral Pregabalin and effect of different doses in craniotomy patients. 91 Dr. Sultan Reza 2014 Role of intravenous paracetamol as preemptive analgesic for laparoscopic cholecystectomy. 92 Dr. Debi Halder 2014 Analgesic effect of Intravenous Paracetamol on Propofol-induced Injection Pain : A Comparative Study with Lidocaine. 93 Dr. Raju Ahmed 2014 Comparative study between I.V. paracetamol and I.M. pethidine for post operative analgesia in laparoscopic cholecystectomy. 94 Dr. Muhammad Shafiul Alam Shaheen 2014 The comparative study of Epidural Levobupivacaine and Bupivacaine in major abdominal surgeries in Type-II Diabetic patient. 95 Dr. Kawsar Begum 2014 Comparison of granisetron and dexamethasone in management of Post Operative Nausea and Vomiting (PONV) in laparoscopic gynaecological surgery. 96 Dr. Debashish Das 2013 Comparison of the effects of ephedrine and phenylephrine in treatment of hypotension after spinal anesthesia during elective caesarean section. 97 Dr. Md. Nazmul Islam 2014 Impact of peroperative intravenous lidocaine on postoperative analgesia of laparoscopic cholecystectomy. 98 Dr. Mohammad Abu Taher 2014 A comparative Study between Prophylactic use of ephedrine and fluid preload in prevention of hypotension in spinal anaesthesia for caesarean section. 99 Dr. Chandra Shekhar Karmakar 2014 Comparative study of propofol versus thiopental sodium with succinylcholine for Laryngeal Mass Airway (LMA) insertion. 100 Dr. Zikrul Bashir 2013 Postoperative pain relief in paediatric surgery patients: Effect of intravenous paracetamol in comparison with diclofenac suppository. 101 Dr. Sadik Enam Boksh 2013 Central neuraxial blocks in total hip replacement surgery - a comparative study between sequential combined spinal-epidural anesthesia & spinal anesthesia alone. 102 Dr. Md. Tarikul Hasan 2013 Haemodynamic responses during reversal from neuromuscular blockade by three different doses of atropine. 103 Dr. Syed Ariful Islam 2013 Role of Preoperative Single dose Dexamethasone on Post-tonsillectomy Morbidities. 104 Dr. Mohammad Mizanoor Rahman 2013 Attenuation of direct laryngoscopic reflex by intravenous lidocaine and lidocaine spray : A comparative evaluation. 105 Dr. M. M. Jayed Hossain Chowdhury 2013 Effect on Cardiovascular response immediately after post extubation period with or without the use of intravenous esmolol prior to extubation. 106 Dr. Mohammad Rezwanur Rahman 2013 Caudal administration of levobupivacaine in subumbilical paediatric day case surgery : a comparative study with bupivacaine, in terms of cost effectiveness and recovery. 107 Dr. Mohammad Ashrafur Rahman 2012 Outcome of Low-dose 0.5% Levobupivacaine (Plain) and Low-dose 0.5% Bupivacaine (Heavy) Combined with Fentanyl in Spinal Anaesthesia for Transurethral Resection of Prostate (TURP) Surgery- A Comparative Study. 108 Dr. Mohammad Obaidullah 2012 Separation Time of Children from Parents: A Randomized Comparison between Oral Versus Atomized Intranasal Administration of Midazolam. 109 Dr. Md. Shahriar Muhit 2012 Haemodynamic responses of endotracheal intubation facilitated by intravenous rocuronuim. 110 Dr. Md. Kutub Uddin Khan 2012 Prophylactic use of intravenous lignocaine as a preintubation medication. 111 Dr. Abdullah Masum 2012 A comparative study between Subarachnoid block (SAB) and General Anaesthesia (GA) in laparoscopic gynaecological procedure. 112 Dr. Md. A. Malek 2012 Prevention of per-operative and post-operative nausea and vomiting in elective caesarean section patient under spinal anaesthesia: A comparative study between prochlorperazine and metoclopramide. 113 Dr. Mohd. Iqbal Kabir 2012 Role of prophylactic intravenous ondansetron to alleviate pain on propofol injection: A randomized double-blind prospective study. 114 Dr. Sharmin Mahbub 2012 A dose response study of orally administered clonidine as premedication on perioperative outcome in adult female patients. 115 Dr. Mofizul Islam 2012 Effects of adding magnesium and clonidine on the characteristics of levobupivacaine epidural block for patients undergoing lower abdominal and major hip surgeries. 116 Dr. Mohammad Omar Faruq 2012 Comparative study of bupivacaine and levobupivacaine in supraclavicular brachial plexus blockade. 117 Dr. Md. Aftab Uddin 2011 A study of tramadol hydrochloride in bier`s block. 118 Dr. Mizanur Rahman 2012 A comparative study of caudal epidural bupivacaine with bupivacaine plus fentanyl and bupivacaine plus neostigmine for anaesthesia and postoperative analgesia in children undergoing sub-umbilical surgeries. 119 Dr. Mohammad Asadullah 2012 Effects of prophylactic intramuscular phenylephrine on hypotension during spinal anaesthesia for elective caesarean section. 120 Dr. Md. Zahedul Islam 2012 Potential attenuating effect of esmolol on cardiovascular stress response to laryngoscopy and endotracheal intubation. 121 Dr. Md. Golam Ferdous Alam 2011 Minimum effective bolous dose of oxytocin requirement after elective caesarian section. 122 Dr. Md. Rajib Pervez 2011 A comparative study of three different doses of intravenous ketamine HCL for prevention of post anaesthetic shivering. 123 Dr. Md. Afzalur Rahman 2011 Incidence of postdural puncture headache after caesarean section-comparison between 25G and 27G quincke variety spinal needle. 124 Dr. Sheikh Md. Abu Taher 2011 A comparative study between palonosetron and granisetron to prevent postoperative nausea and vomiting after laparoscopic cholecystectomy. 125 Dr. Farhanaz Zainab 2011 Anaesthetic and analgesic effects of adding fentanyl to bupivacaine-lignocaine mixtures in supraclavicular Brachial plexus block-a comparative study with or without fentanyl. 126 Dr. Mohammad Johirul Islam 2011 A comparative study of the haemodynamic responses of laryngoscopy and tracheal intubation after induction of anaesthesia with IV propofol and IV thiopentone. 127 Dr. Farzana Kalam 2011 Combination of ketamine, propofol `ketofol` versus ketamine, diazepam for procedural sedation and analgesia in day case surgery. 128 Dr. Mohammad Hosne Mobarak 2011 A randomized study of magnesium sulphate as an adjuvant to intrathecal bupivacine in patients with mild preeclampsia undergoing caesarean section. 129 Dr. Muhammad Moniruzzaman 2011 Prophylactic use of tramadol hydrochloride and ondansetron for the prevention of post spinal shivering in cases of non-casearean operations- a comparative study. 130 Dr. Md. Zafor Iqbal 2011 Changes of endotoracheal tube cuff pressures and incidence of post operative sore throat while using different inflating agents. 131 Dr. Mushfiqur Rahman 2011 Study of subrachnoid block for transurethral resection of prostate: A comparision between 0.5% plain isobaric bupivacaine-fentanyl and 0.5% hyperbaric bupivacaine alone. 132 Dr. Muhammad Abdur Rahman 2010 Induction characteristics of thiopentone, propofol and midazolam in elderly patients. 133 Dr. Muslema Begum 2011 Effect of general anaesthesia & subbarachnoid block for lower segment caesarean section(LSCS) in patient with eclampsia- a comparative study. 134 Dr. Subrata Kumar Mondol 2011 Role of gabapentin in attenuating the pressor response to direct laryngoscopy and tracheal intubation. 135 Lt Col (Dr) Abdullah Al Mahmud 2011 Effect of pre operative single dose gabapentin on cardiovascular responses to laryngoscopy and tracheal intubation. 136 Dr. Md Mahbub ul Alam 2011 Preoperative use of intravenous magnesium reduces the incidence of per and post operative arrhymia in coronary artery bypass graft(CABG) surgery. 137 Dr. Bidhan Paul 2010 A clinical trial on transversus abdominis plane block to make multimodal analgesia more effective after total abdominal hysterectomy. 144 Dr. Md. Liaquatunnoor 2010 A comparative study of Rocuronium using priming technique and Suxamethonium for rapid-sequence orotracheal intubation in elective cases. 145 Dr. Reza Ershad 2010 Sedation in children for magnetic resonanace imaging-comparison between midazolam ketamine combination with midazolam fentanyl combination. 146 Dr. Istaque Ahmed Milton 2009 Intrathecal midazolam added to low dose bupivacaine in subarachnoid block for caesarean section- A placebo control study. 148 Dr. M.m. Shahidur Rahman 2009 A comparison of Muscle relaxant requirement between combined epidural & general anaesthetic technique versus conventional general anaesthetic method during abdominal surgery. 149 Dr. Sadat Bin Siraj 2009 Role of Sabapentin in Reduction of Analsesic and Anaesthetic Doase Requirement During General Anaesthesia. 150 Dr. Kazi Reazul Islam 2009 Haemodynamic effects of Etomidate during induction of anaesthesia in patients coronary artery by pass graft ( CABG) surgery with compromised left verticular function. 151 Dr. Samar Chandra Saha 2009 Comparison of the haemodynamic changes produced by Vecuronium, Fentanyl and Magnesium Sulphate infusion with Vecuronium, Fentanyl infusion during off pump beating heart bypass Surgery. 152 Dr. Mohammed Mostafizur Rahman 2009 Etomidate, a cardiac stable induction agent : comparison with propofol and thiopental sodium. (pend. 153 Dr Md. Siddiqur Rahman 2009 Role of ephedrine and epinephrine in the management of hypotension after sub-arachnoid block(SAB) in caesarean section. ( pend. 154 Dr. Mohammed Mohiuddin 2009 Shoman Effects with prophylactic preload of hydroxyethyl starch 6% (130/0.4%) in SAB for caesarian section in a tertiary level hospital. ( Accepts. 155 Dr. Md. Nurul Islam 2009 Role of intravenous labetalol for attenuation of stress response in tracheal intubation for laparoscopic cholecystectomy ? a comparative study ( pend. 156 Dr. Md.Sazzad Hossain 2009 Comparison of haemodynamic parameters and myocardial protection of isoflurance and sevoflurane in Anaesthesia on Off-pump coronary artery bypass graft surgery (OPCAB). 157 Dr. Md. Kamrul Hasan -- Post operative pain management after sternotomy in off pump coronary bypass grafting ? a comparative study between NSAID & opioid. 158 Dr. Ayesha Sultana -- A comparative study of measurement of cardiac output between invasive (pulmonary artery thermodilution technique) and non-invasive (Echocardiography) method dueing coronary artery bypass grafting & valve replacement. ( pend. 159 Dr. Md. Azizul Gafur 2008 Comparison of haemodynamic alteration with laryngeal mask airway & endotracheal tube in intermediate duration ( 1 to 2 hrs ) operation. 160 Dr. Md. Rafiqul Islam 2008 The effect of preoperative use of granisetron plus dexamethasone & granisetron alone in the prevention of postoperative nausea & vomiting (PONV) in patient with tonsillectomy operation ? a comperatie study. 161 Anaesthesiology 2008 Etomidate, a cardiac stable induction agent : Comparison with propofol and thiopental sodium. ( pend. 162 Dr. Khondker Iqbal Karim 2008 Control of shivering during regional Anaesthesia : A comparative study between tramadol and ketamine. 163 Dr. Md. Abdul Quddus Mia 2008 Comparative study between caudal & subarachnoid block in children for sub-umbical surgery. 164 Dr. Abdul Mannan Miah 2007 Use of 0.5% hyperbaric bupivacine for spinal anaesthesia in elective caesarean section: effect of height and weight adjusted dose. 165 Dr.(Maj.) Md. Aminur Rahman 2007 Analgesic effects of bupivacaine with neostigmine and bupivacaine in paediatric caudal block. 166 Dr. Giash Uddin Ahmed 2007 Study of effects on preemptive ketamine on post operative analgesia after total abdominal hysterectomy Surgery under general Anaesthesia. 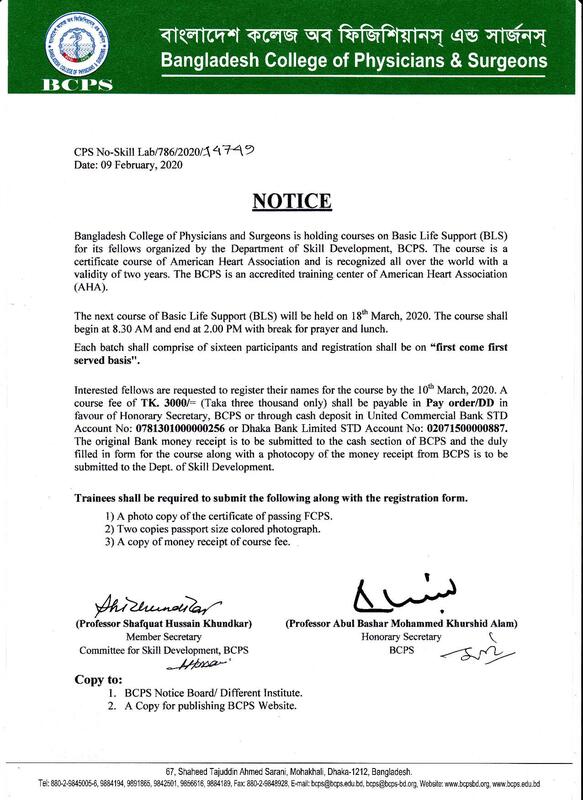 168 Dr. Md.Golam Murshid 2007 Study of effect of haemodynamic changes caused by oxytocin during caesarean section under spinal anaesthesia ? comparison between IV bolus or infusion technique. 169 Dr. Nitai Chandra Sarkar 2007 Intravenous reginal anaesthesia using lignocaine and ketorolac ? a comparative study. 170 Dr.(Maj.)Md. Raquibul Islam 2007 Caudal block in paediatric anaesthesia : A comparative study between bupivcaine and ketamine. 171 Dr. M. Younus Ali -- Post operative nausea and vimiting after laparoscopic cholecystectoy : Comparison of prophylactic effect of dexamethasone with ondansetron. 172 Dr. Md. Rafiqul Hassan 2005 A comparative study of fentanyl/midazolam and ketamine/midazolam as sedation analgesic agents in paediatric patients in caudal block. 173 Dr. Md. Masudul Alam Mazumder 2006 Volume-controlled ventilation (VCV) & pressure-controlled inverse ratio ventilation (PC-IRV); A comparison of their effects in patients of acute respiratory distress syndrome (ARDS). 174 Dr. Anisur Rahman 2006 Cardiovascular responses following fiberoptic orotracheal intubation : omparison of macintosh laryngoscope assisted orotracheal intubation with lingual traction method. 175 Dr. Kamal Krishna Karmaker 2006 Effect of peroperative use of granisetron and ondansetron on postoperative nausea and vomiting ? a comparative study. 176 Dr. Shahriar Ahmed -- Subarachnoid tramadol of pethedine with hyperbaric bupivacaine for elective caesarean section ? A comparative study. 177 Dr. Sayeed Mahmud Ali Reza 2006 Haemodynamic changes during CABG surgery under propofol-fentanyl anaesthesia : comparison with conventional technique. 178 Dr. A.K.M. Faizul Hoque 2006 A study of the effect of (TIVA_ total intravenous anaesthesia)on the post operative respiratory performance after coronary artery bypass grafting (CABG) to change in practice of prolonged mechanical ventilation into early extubation. (pend. 179 Dr. Manisha Paul 2006 Comparative study of intra-operative complications during caesarean section under subarachnoid block by using bupivacaine alone & bupivacaine-fentanyl combination. 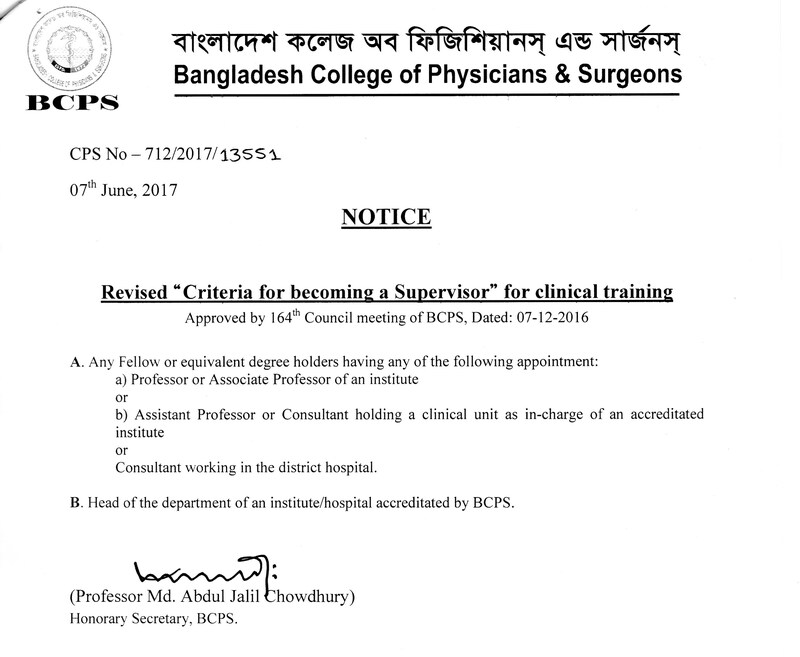 180 Dr. Dilip Kumar Bhowmick 2006 Preemptive caudal clonidine-bupivacaine or bupivacaine alone for postoperative analgesia in Children undergoing sub-umbilical surgeries ? a comparative study. 181 Dr. Md. Tajul Islam 2006 Caudal tramadol-bupivacaine combination for postoperative pain relieve in subumbilicl paediatric surgery. ( pend. 183 Dr. Md. Raihan Uddin 2005 Comprison of ondansetron and granisetron for prevention of nausea and vomiting following elective caesarean section. 184 Dr. Abul Kalam Azad 2005 Assessment of reversal pattern of Neuro-muscular blockade ? a comparative study between clinical and instrumental methods. 185 Dr. Rabeya Begum 2005 Prophylactic use of Ketamine for the prevention of post operative shivering. 186 Dr.Subrata Kumar Mondal 2005 Preemptive low dose Ketorolac-evaluation of its effects on postoperative pain & vomiting in total abdominal hysterectomy operation. (pend. 187 Dr. Md. Abdul Karim Miah 2005 Spinal Anaesthesia with 0.5% hyperbaric bypivcaine in lower uterine caeserian section : effect of site of injection on spread of Anaesthesia. 188 Dr. Md. Idris Ali 2005 A comparative study of caudal bupivacaine and bupivacaine ? midazolam for post-operative analgesia in children undergoing genitourinary surgery. 189 Dr. Satyajit Dhar 2005 Post spinal headache after caesarian section ? effect of approach into my Dura-Arachnoid ? SAC?. 190 Dr. Md. Al mamun 2005 Study on role of co-induction in day-case anaesthesia ? a comparison between oral midazolam and thiopentone with propofol along. 191 Dr. Hasan Murshed 2005 Incidence of PONV ? comparison between preoperative supplemental luid bolus and prophylactic antiemetic group in laparoscopic surgery under general anaesthesia. 192 Dr. M. Masudul Haque 2005 Haemodynamic and recovery sttus in day-case anaesthesia: a comparison between infusion of propofol-midazolam-nalbuphine and ketamine- diazepam- tramadol. 195 Dr. Md. Refat Hossain Malik 2004 Recovery after combined epidural-general anaesthesia: comparison with general anaesthesia. 196 Dr. Md. Anisul Islam 2004 Heart rate change during the reversal of neuromuscular blockade by 3 dosages of atropine. 197 Dr. Md. Enayet Karim 2004 A comparative study of induction characteristics of thiopentone,midazolam and propofol in elderly patients. 198 Dr.(Maj.)Md.Masudul alam Mzumder 2004 Volume-controlled ventilation and pressure-controlled inverse ratio ventilation: a comparison of their effects in patients of of AcuteRespiratorydistress syndrome(Pending). 199 Dr. Md. Tauhid Ul Mulk 2004 Effect of pre-operative fasting time for elective caesarean section under sub-arachnoid block on maternal and neonatal blood sugar. 200 Dr. Masud Ahmed 2004 Evalution of effects of magnesium sulphate in reducing intravenous anaesthetic requirements. 202 Dr. Md. Manowarul Islam 2004 Subarachnoid clonidine or fentanyl with low dose hyperbaric bupivacaine for elective caesarean section - A comparative study. 203 Dr. Sukanta Kumar Mazumder 2004 Prevention of hypotension following subarachnoid block for eletive caesarean section-comparison between epedrine infusion versus volume preload. 204 Dr. Nadeem Parvez Ali 2004 Use of Lidocaine as endotracheal tube Cuff inflating agent to see effectiveness in reducing extubation Haemodynamic reponses and postoperative sore throat. 205 Dr. Md. Iqbal Hussain 2004 Intrathecal Low Dose Pethidine and Fentanyl with hyperbaric bupivacaine for elective caesarean section - A compertive study. 206 Dr. Md. Maqsud Isa 2004 Comparative study of immediate recovery status in paediatric patient under going inguinal Herniotomy operation with or without preemptive wound infiltration. 208 Dr. Md. Abdul Aleem -- Awareness during general anaesthesia. 209 Dr. Md. Harun-or-Rashid 2004 Haemodynamic response to laryngeal mask airway insertion: Comparison with endotracheal intubation. 210 Dr. Md. Shahadat Hossain 2003 Magnesium and Anesthesia - A review & effect of MgS04 therapy . on quality of spinal anaesthesia. 211 Dr. Ranadhir Kumar Kundu 2003 Transfusion Scale- scoring system to determine the trigger point per-operative blood transfusion. 212 Dr. Md. Rezaul Hoque PK 2003 Comparison of postoperative analgesic effects and wound hyperalgesia of preemptively used epidural ketamine and fentanyl (pending ). 213 Dr. Nibedita Nargis 2003 Caudal epidural block in paediatric patients - a comparison between Bupivacaine, Bupivacaine Neostigmine & Bupivacaine Neostigmine with Fentanyl. 214 Dr. Montosh Kumar Mondal 2003 Review of postoperative Nausea and vomiting in diagnostic Laparoscopic Gynaecological surgery: Effect of oral Ondansetron and Metoclopramide - A comparative study. 215 Dr.(Lt.Col. )MHM Delwar Hossain 2003 Post-operative pain management : Effect of preoperative counseling on post-operative pain management. 216 Dr. Mahmudur Rahman Khandoker 2003 Single shot intrapleural block with bupivacaine - adrenaline in comparison with bupivacaine mixed with morphine for early post operative pain relief following upper abdominal & thoracic incision. 217 Dr. Hasina Akhter 2002 Combined Spinal Epidural for labour Analgesia : a comparison between Bupivacaine-Fentanyl with Bupivacaine - Tramadol. 218 Dr. Sajjad Ahmed 2003 Pre-emptive low dose ketamine in lower abdominal Surgery - evaluation of its effects on postoperative pain. 219 Dr. Shahnaz Afroza 2003 Post operative pulmonary function changes- a comparison between upper abdominal open Surgery and laparoscopic Cholecystectomy. 220 Dr. Paresh Chandra Sarker 2003 Physiology of intracranial pressure - Review of recent literature, Quantitive assessment of the effects of halothane and isoflurane during intra cranial surgery. 221 Dr. Md. Delwar Hossain 2003 Anaesthesia for endoscopic urologic surgeries - A comparative study between intrathecal tramadol and fentany. 222 Dr. Md. Rafayet Ullah Siddique 2003 Anaesthesia for elective supratentorial craniotomy : A prospective study of two techniques. 223 Dr. Md. Mustafa Kamal 2002 Low back pain with radiation - Effect of epidurally administered different corticosteroids. 224 Dr. Rubina Yasmin 2003 Pre-emptive analgesia for postoperative pain relief in children - Role of paracetamol. 225 Dr. Abu Naser Md. Badruddoza 2002 Does low dose midazolam infusion in combination with continuous ketorolac infusion in postoperative analgesia provide better patient satisfaction. 226 Dr. Md.Torab Mollick 2003 Review on Cardiovascular response to laryngoscopy and endotra- cheal intubation comparative study of lignocaine versus lignocaine and pathidine. 227 Dr. Md. Abdus Samad 2002 A comparison of two Anaesthetic technique in patients undergoing tympanoplasty surgery. 228 Dr. Bhabesh Chandra Mondal 2002 Comparison of effects of epidural infusion of bupivacaine fentanyl and bupivacaine pethidine mixture for continuous postoperative analgesia after caesarean section. 229 Dr. Md. Rabiul Alam 2002 Intra-nasal midazolam premidication in children : the minimum dosage and time interval for separation from parents. 230 Dr. Niaz Ahmed -- Subarachnoid block for transurethral resection of prostate : A com- parison between the efficacy of 0.5% plain isobaric bupivacaine with 0.5% hyperbaric bupivacaine. 231 Dr. Md. Mozaffer Hossain 2002 Foeto-maternal outcome in pre-eclamptic parturient undergoing caesarean section with sub-arachnoid block with or without pre- operative control of blood pressure. 232 Dr. Hasina Begum 2002 Comparative study of ephedrine, phenylephrine and adrenaline for management of hypotension during spinal anaesthesia. 233 Dr. Md. Kutubuddin Mollick 2002 Experience with laryngeal Mask Airway uses. 234 Dr. Manash Kumar Basu 2001 Randomized comparison of general Anaesthesia & sub-arachnoid block for caesarean delivery in pregnancies complicated by eclampsia. 236 Dr. Iqbal Hossain Chowdhury 2001 Evaluation of TIP holed spinal needle. 237 Dr. Ashia Khatun 2001 Prophylactic dexamethasone reduces the incidence of postoperative nausia and vomiting (PONV) and pain after laparoscopic Cholecystectomy. 238 Dr. Quazi Al Mahmud Siddiqui 2001 Caudal Analgesia for paediatrics - A comparison between bupivacaine and ketamine. 239 Dr. B.M.M. Chowdhury 2000 Percutaneous insertion of catheter to monitor central venous pressure - A comparison between effect of head positions on the placement of catheter in the internal jugular vein. 240 Dr. Kazi Ashkar Lateef 2000 Nutritional support to critically ill patient - a comparison between branded and home made preperations.